The Chamfer Home is a tiny self-sufficient shelter with a clean modern design that is made from eco-friendly materials. 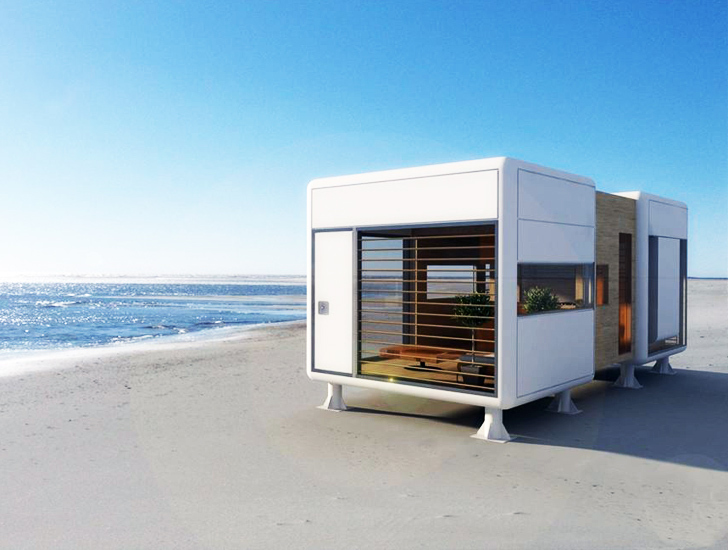 Designed by S-Archetype, the portable living unit can operate completely off the grid, which means that it can be anchored just about anywhere – from a city rooftop to a patch of sand near the beach. Designed to adapt to different lifestyles and needs, The Chamfer Home is the perfect dwelling for the modern nomad. Its stylish design shelters an open plan living space with floor-to-ceiling windows for natural light and great views of the landscape. This tiny mobile home is a charming concept that we hope to see become a reality! I am serious I want one. In box me a message n give me details on how I can get one. How much and do they ship to Australia? Thanks. Are these available to be sold in New Zealand? If so who is the agent.These look fantastic. According to the website, 27sqm, includes kitchen and bathroom, starts at 45000 euros. as it says a charming "concept" but would love to see this become available, also floor plan, price and dimensions. cheers and good luck. Please send pricing details and transportation costs within Australia. Is the Chamfer home available in Australia? Yes please, price and availability in Australia. This is beautiful! Please send details of price and availability in Australia. Thank you! Love it. Please send me more information about the kitchen, bathroom, and the price. Thanks. Did anyone actually read the article? It clearly states that there is a kitchen and a bathroom. The box is neat. How much does it weigh? I would love to install this on my rooftop in Montreal.For the bed, a Murphy bed is ideal. For those wondering about a bathroom and kitchen at their website it says the Chamfer home comes with a full bathroom and kitchen, but they seem to leave out the price completely. I suppose it wouldn't be cheap. I saw this tonight on Extreme Homes and I love it!!! Where would I buy one, what would the cost be for one like this plus a bathroom and kitchen?????? I love the minimalist lifestyle and being off the grid!!!!! What is the cost? and Where is it sale? Fabulous! What does this cost? Where can we buy these and how much will it cost. Beautiful...add a mini kitchen and it would be perfect!! You are speaking my language! This is exactly what I want. When will I be able to order it from Amazon or IKEA?!! Forget the kitchen, more importantly, where is the bathroom? I would love this but a bathroom is essential. I verge on being a hoarder in my full sized house, and I long for the clean lines and lack of storage space of a place like this. Could I make the required transition??? I seriously do not know, but I love how this house looks. The Chamfer Home is a tiny self-sufficient shelter with a clean modern design that is made from eco-friendly materials. 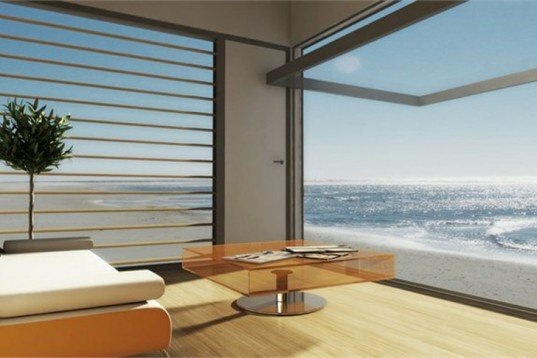 Designed by S-Archetype, the portable living unit can operate completely off the grid, which means that it can be anchored just about anywhere - from a city rooftop to a patch of sand near the beach.